Aerial View From Drone Wedding Couples On The Cliff. 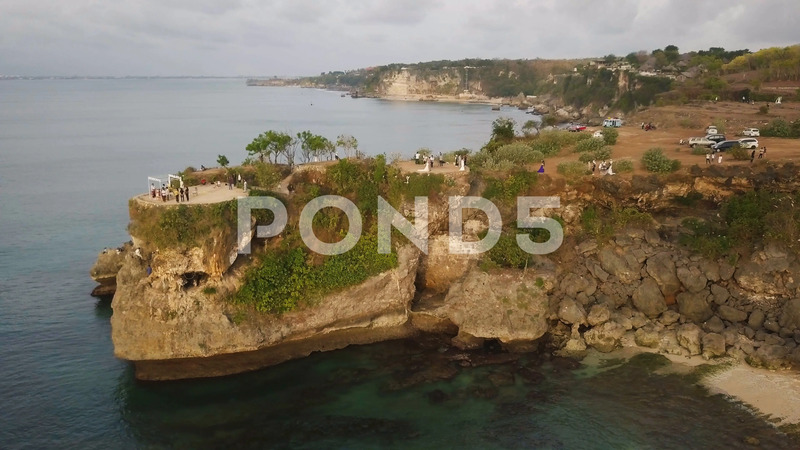 Description: Aerial view from drone wedding couples of grooms and brides in white dresses making photos on the cliff near ocean, holding hands. Happy people have fun during their holiday. Sea landscape with beautiful coastline in the background. Travel concept. Holiday concept.